A diagnostic MRI followed by one of three MRI-guided biopsy strategies is a cost-effective method to detect prostate cancer, according to a new study out of Case Western Reserve University School of Medicine and University Hospitals Cleveland Medical Center. Researchers compared MR-guided approaches to the current standard of transrectal ultrasound guided biopsies and found that these approaches yielded net health benefits that were well within commonly accepted threshold for costs-benefit ratios and thus are cost-effective strategies for detecting prostate cancer. The paradigm-shifting research was published in the preeminent journal Radiology. “Many consider MRIs to be cost-prohibitive, especially when evaluating for a common entity such as prostate cancer. This was our expectation as well, prior to doing this work, but our study found the opposite. We found that performing MRI before biopsy and using that information to alter biopsy pathways would be a strategy that would add health benefits to the patient population in a cost effective manner,” said Vikas Gulani, MD, PhD, study advisor and associate professor of radiology, urology, and biomedical engineering at Case Western Reserve University School of Medicine, and member of both the Case Comprehensive Cancer Center and Case Center for Imaging Research. The study was jointly first-authored by Shivani Pahwa, MD, department of radiology, and Nicholas Schiltz, PhD, department of biostatistics; and was developed in close collaboration with Lee Ponsky, MD, department of urology, and Mark Griswold, PhD, department of radiology. The researchers found using MRI to help detect lesions and guide biopsies increased standardized quality-adjusted life years for patients and was cost-effective in 94.05% of simulations. The benefits were consistent across age groups, and could change how doctors identify and sample cancer lesions. The current standard of care for detecting prostate cancer involves 12 biopsy samples collected during an invasive transrectal ultrasound. Since most tumors are not visible on ultrasound, up to 40% of clinically significant tumors are missed via this method, and many found are clinically insignificant. The approach regularly results in patients entering treatment pathways with potential negative side effects, to treat low-risk tumors. Biopsies may also cause bleeding and complications, increasing health care costs. MRI offers a non-invasive alternative to transrectal ultrasound which can help better steer biopsy pathways. Doctors could use MRI to evaluate patients for potentially harmful lesions, and then use that information in one of three MRI guided strategies for biopsying potential foci of cancer, and bypass biopsy if a scan is completely negative. Although scans are expensive, they can add health benefits by triaging patients into proper treatment pathways. 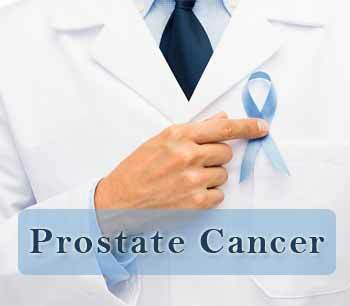 MR tends to miss low risk cancer, the overtreatment of which is a major contributor to high health and financial costs in prostate cancer. Similarly, a negative MRI is a very good predictor of exclusion of aggressive disease. A combination of such factors is likely the reason for the cost effectiveness of the MRI guided strategies. Current estimates place prostate cancer care costs in the United States at over $10 billion annually, and the price tag is rising.